Real estate is one of the best careers for women who are looking to pursue entrepreneurship and design their own destiny. Women in real estate get to be their own boss while setting their work hours and determining their accolades. As flexible as this is, being a woman in real estate takes an extreme amount of effort and hard work in what may sometimes seem to be a male-dominated industry. Some organizations support women in this industry. It debunks any myth of how women tear each other down all the time. These group provide a place for select members to resource professionals and connect, network and refer clients to other professionals. With that kind of empowerment, it’s no wonder that some of the top female real estate agents are successful and garnering attention. Land ownership has always existed, and the real estate industry has also been around for some time. Through the continuing battle today for equality, there have been women in real estate trying to succeed since the real estate industry came about in 1794. The National Association of Realtors (NAR) was founded in 1908 and currently has both men and women members. However, it was not always that way. Although the first woman joined in 1910, women continued to struggle for almost half a century before they could serve on real estate boards. 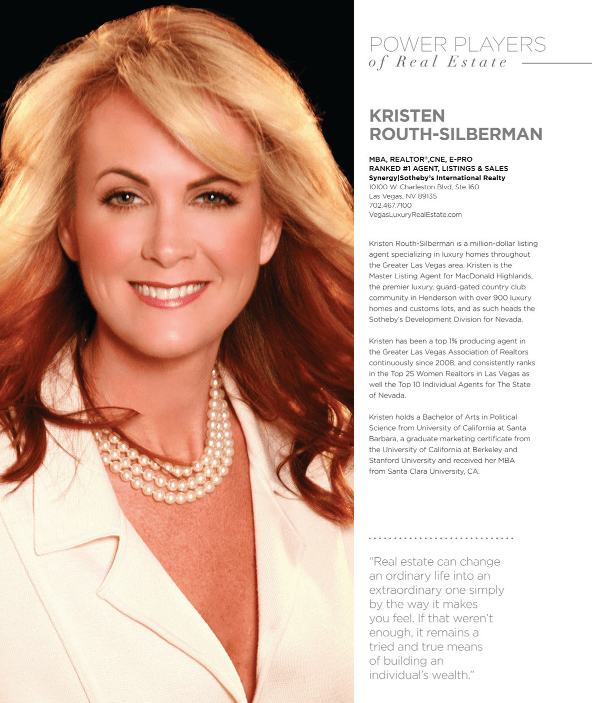 Kristen Routh Silberman is one of the main faces of Las Vegas luxury real estate. She was recently named one of the top power players for Las Vegas Real Estate in Vegas Magazine. 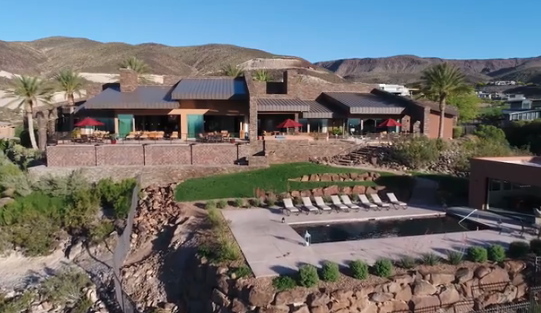 You can check out her YouTube channel or contact Kristen directly to learn more about what it’s like to live at a higher level in your new luxury home community. Contact us to learn more about a Life at the Top today!